Russia plans to move transit to the Nord Stream pipeline. 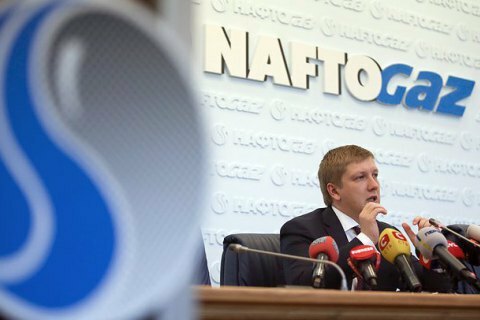 Russia is not going to ensure gas transit through the Ukrainian gas transport system after 2019, the board chairman of the national oil and gas company Naftogaz Ukrayiny, Andriy Kobolev, has said, as quoted by Interfax-Ukraine. Kobolev urged the EU to give an unbiased assessment to the uncertain benefits and real threats posed by Nord Stream-2 and the loss of gas transit through the Ukrainian gas transport system. He said some of the steps recently taken by Gazpom go against its assurances to maintain the transit via the Ukrainian system after 2019. "Gazprom said that it was decommissioning compressors in the Ukrainian direction. Despite the promises and assurances which the Russian government allegedly gave our European partners, Russia is not going to guarantee gas transit through the Ukrainian gas transport system after 2019," he said. In Kobolev's opinion, Gazprom plans to move transit to the Nord Stream pipeline, which will cause irreparable damage to the European energy security. Thus, if the construction of Nord Stream-2 continues, no-one will be able to force Russia to stop dismantling gas transport facilities in the Ukrainian direction. "The concentration of a large share of export routes in the north, refusal from gas transit via the reliable and flexible gas transport system of Ukraine will result in a significant increase in man-made risks," Kobolev said.